For owners of pools, spas and hot tubs, you'll quickly learn that total alkalinity (TA) is important to note and regulate. TA is a measure of how much of the alkaline substances are present in the water. Typically, the TA should remain in the range of 80 to 120. If your total alkalinity measures within this range, pH changes should remain stable and your water and tub or spa should operate at peak performance. If the total alkalinity is too low, then the marbelite and plaster walls will become etched, metals will corrode, and the walls and floor of your pool or spa will stain. The water may even turn green and your eyes will burn with use. The pH may rapidly drop and rise for what seems like no apparent reason. In instances like these, monitor your total alkalinity. Chances are, you are running at a deficiency. 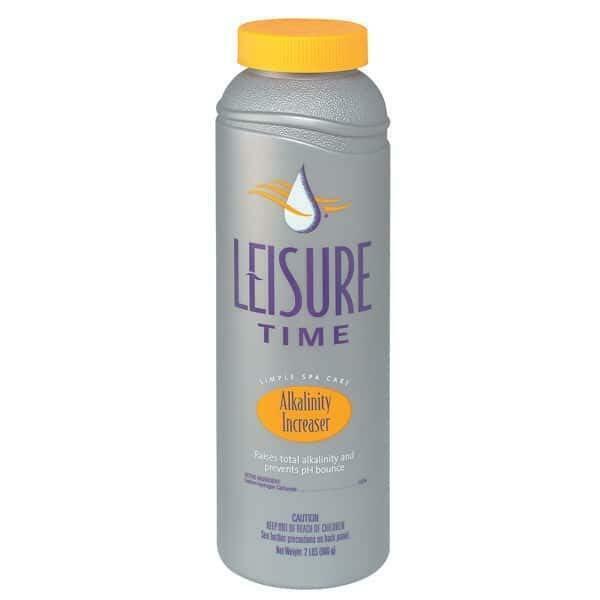 To raise the level of TA, use the sodium hydrogen carbonate Alkalinity Plus by Leisure Time.